Just days after the announcement of WhatsApp business app it has officially rolled out in India. 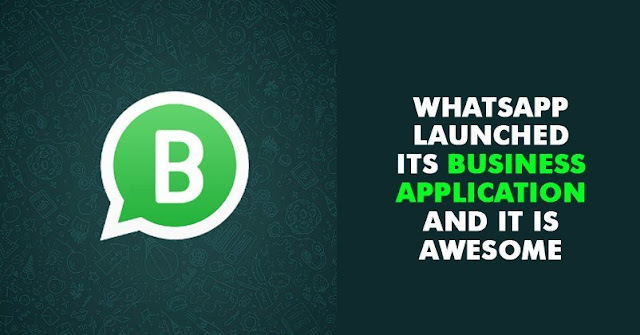 Users can now download this Whats App business app from the Google play store and Apple App Store on their mobiles. The app features a simple tool for small business marketers to communicate with their clients and customers through this business app. WhatsApp is owned by Facebook and ever since it got all the latest features. The new app for small business arrived in the following countries Indonesia, Italy, Mexico, UK and the US on Friday. On the other hand, it’s interestingly got an initial test in India as well as Brazil before its public release. • The WhatsApp Business app India is now available free download via google play in India. • WhatsApp Business will be compatible with the devices running Android 4.0.3 and above. • Also, its similar features also expected to be run on iOS devices in the near future. Having features like corporate communication for small businesses, WhatsApp has also planned to get some business confirmed accounts over time. This will be a great thing for small business traders for communicating with their customers. More than 80% small business traders have communicated with their customers and grow their business with WhatsApp business app as per a study conducted by Morning Consult. Also, 84% of Small and Medium Businesses people are thinking that WhatsApp helps them communicate with customers, here in India its about 80% of Indians SMBs believe that WhatsApp business app 2018 version will improve their company growth. However, WhatsApp business app has the same similarities of the original WhatsApp. The origin WhatsApp have a lot of privacy features available with it and same have been derived to its sibling WhatsApp business app 2018 version. As of now the business app allows businesses to set privacy for their profile photo, about information and status as lets them block any of their customer/ contacts and can also enable read receipts. The user can also share their live location with their contacts just like the original WhatsApp, SMEs can expect more features on their WhatsApp business app. Users need to install the latest version WhatsApp business app 2018 on their smartphones and required to provide a valid mobile number and once after verification they can get a security code to login into their WhatsApp mobile app. SMEs can provide their organization details and add the address of their organization along with the google map directions on their latest WhatsApp business India app 2018. Note that WhatsApp business app provides and end-to-end encryption for all its messages and calls with will restrict any third-party access. As per the recent survey, it is said that in last February, there are over 200 million monthly active users in India. The WhatsApp messaging platform has features for like Delete for Everyone, YouTube integration and notification channel support for Android Oreo devices.